**EXTENDED**STUNNING THROUGHOUT**CUL-DE-SAC POSITION** Offering stunning internal presentation throughout and an impressive light, contemporary living space that simply must be viewed to be fully appreciated - this substantial, contemporary 4 bed modern detached family home benefits from having a modern fitted kitchen, large conservatory, Jack and Jill en-suite, stunning four piece family bathroom and an outside bar area. 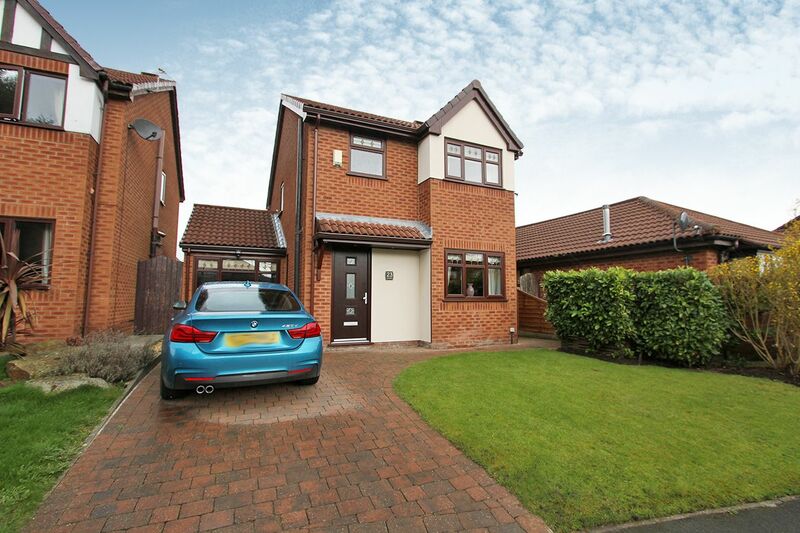 Located on Mannor Park, a hugely popular modern development set in Ashton-in-Makerfield, conveniently within walking distance to the area's numerous Schools, amenities and various shops. Its also a short drive away from both the East Lancashire Road / M6 motorway. Externally, the rear has a low maintenance garden with a paved patio, lawn and bar. The 'Slug Bar' has its own seating area and log burner to keep you warm on chilly evenings, perfect for those who love entertaining. To the front is ample parking for up to 3 vehicles. Book a viewing today to avoid disappointment!! Tiled flooring and spot lights. Front facing lounge with a feature wall mounted gas fire and wood effect laminated flooring. 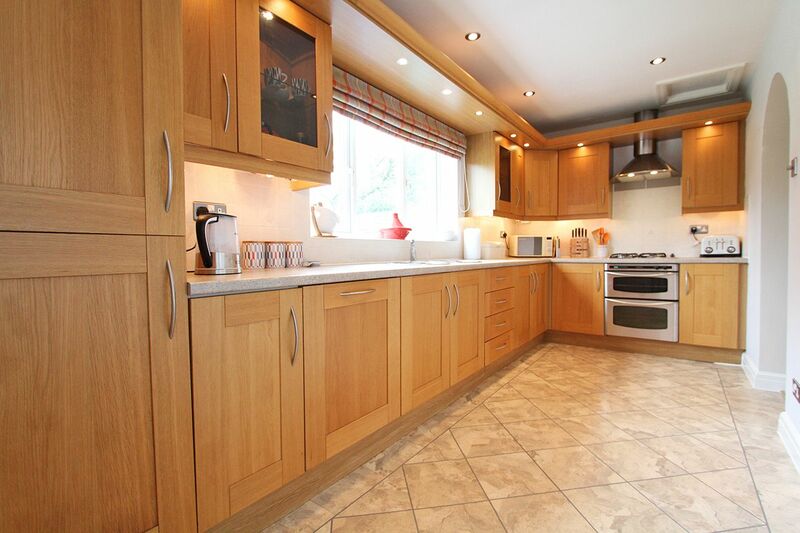 Impressive sized kitchen fitted with a range of modern, hi-gloss wall and base units. Integrated appliances include a large oven and extractor fan. Island with breakfast bar sitting area, tiled flooring and spot lights. Large conservatory with paved flooring and gas fire fitted. Air conditioning unit and fan light fitted. Rear facing utility room with tiled flooring and spot lights. Fitted with modern, hi-gloss wall and base units. Plumbed for a washing machine and dryer. Stainless steel Belfast style sink. Ground floor wc comprising a low level wc and wash basin. Tiled flooring and part tiled walls. Spot lights and modern fitted base unit. Caret flooring with access to the loft. Front facing double bedroom with a walk in wardrobe. Spot lights and solid wood flooring. Front facing double bedroom with fitted wardrobes and wood effect laminated flooring. Ceiling fan light. Positioned between bedroom 2 & bedroom 3, it comprises a low level wc, wash basin and shower cubicle. Spot lights and tiled flooring. Heated towel rail. 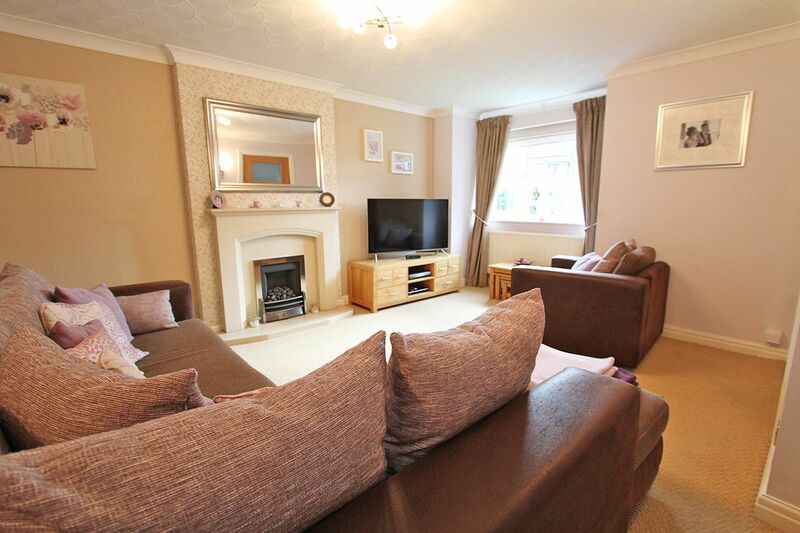 Rear facing double bedroom with fitted wardrobes and solid wood flooring. Jack and Jill en-suite. Front facing bedroom with wood effect laminated flooring. Rear facing stunning 4 piece bathroom suite comprising a low level wc, large bath, wash basin and a large shower cubicle with power shower. Tiled walls and part tiled walls. Spot lighting, large heated & mirrored radiator and velux windows. To the front is a large drive with ample parking. Paved patio, lawn and bar. 'Slugs Bar' has its own sitting area and log burner. MONEY LAUNDERING REGULATIONS: Intending purchasers will be asked to produce identification documentation at a later stage and we would ask for your co-operation in order that there will be no delay in agreeing the sale. All measurements are approximate room sizes and as such are only intended as general guidance. You must verify the dimensions carefully before ordering carpets or any built-in furniture. Kelrick Properties have not tested any equipment, fixtures, fittings or services and it is the buyer's responsibility to check the working condition of any appliances. We strongly advise prospective buyers to instruct their own survey or service reports before finalising their offer to purchase. These particulars are issued in good faith but do not constitute representations of fact or form part of any offer or contract. Neither Kelrick Properties Ltd nor any of it employees or agents has any authority to make or give any representation or warranty in relation to this property.